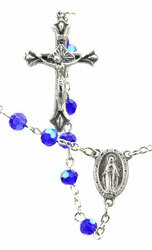 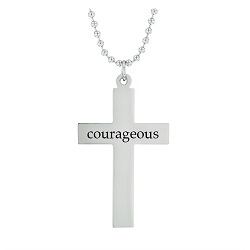 Faith and fashion come together with our beautiful selection of Christian necklaces for women. 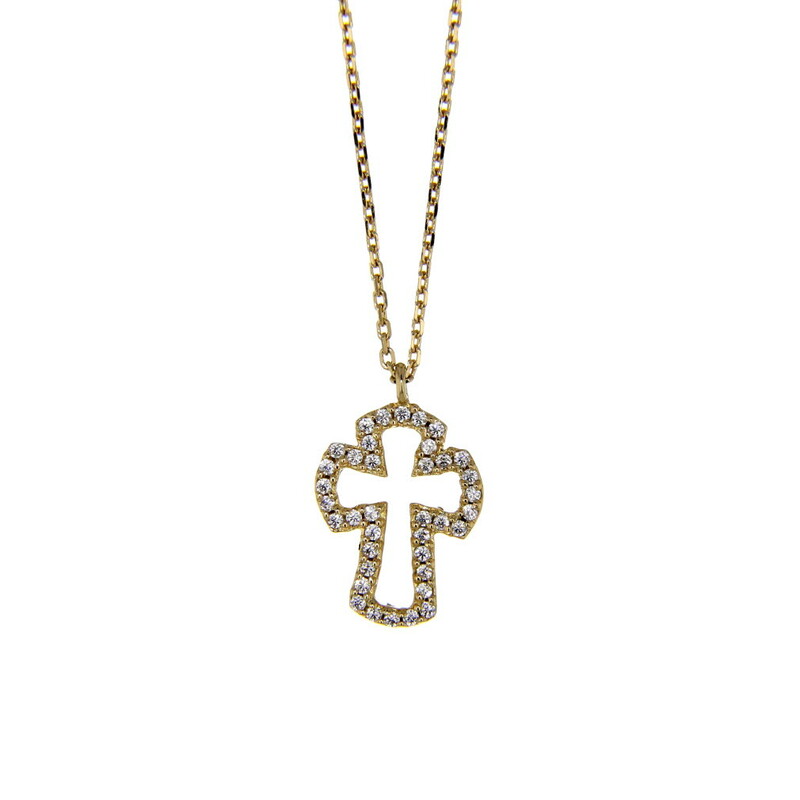 Our styles range from the simple to the stylish, including cross necklaces, crystal pendants, and heart necklaces. 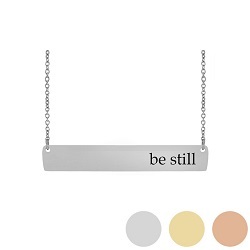 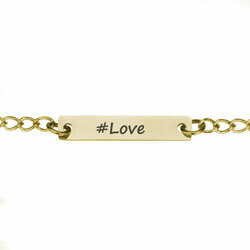 Women of all ages can enjoy these faith-inspiring pieces of Christian jewelry. 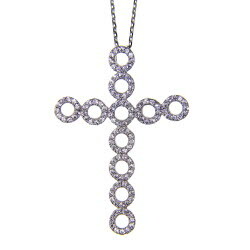 The combination of a simple rounded cross paired with a bright cubic zirconia makes this the perfect cross necklace for any occasion. 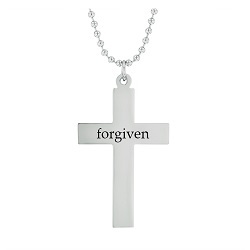 This Christian jewelry design is made from 100% lead-free pewter and silver tone plated. 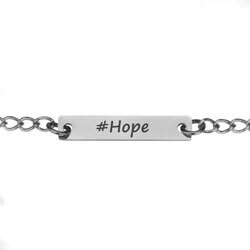 Comes on an 18" cable chain. 3/4"H x 7/16"W.
Because of Jesus Christ, death is swallowed up in victory. We've taken this meaningful scripture and created a necklace to help you through any loss you may be facing. 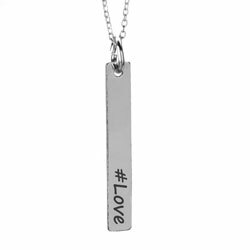 It is a great way to remember your lost loved one or inspire someone through a difficult time. 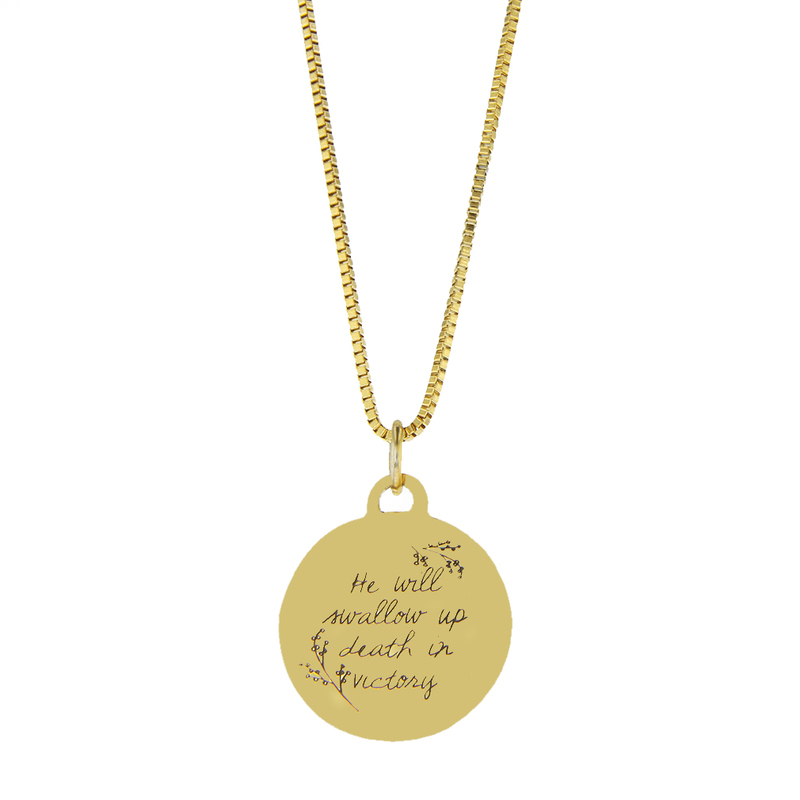 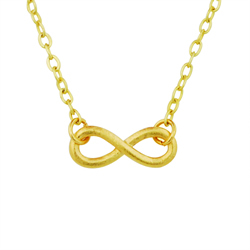 This delicate necklace features a miniature infinity symbol and is dipped in gold. 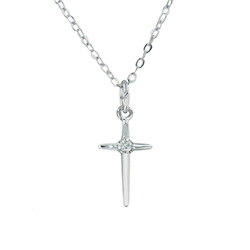 Cast in 100% Lead-free Pewter. Comes on an 18" chain. 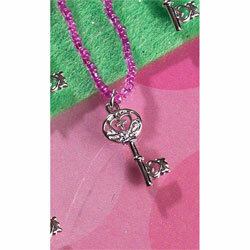 Silver plated heart and cross key necklace pendant on a 15 in adjustable purple beaded chain. 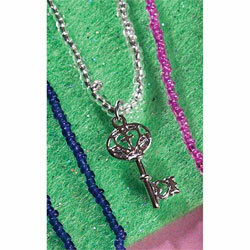 Silver plated heart and cross key necklace pendant on a 15 in adjustable beaded chain.